1st – 10th (Eight of Air) An illusion of being trapped. A lack of self-confidence. Afraid to take action. Jupiter in Gemini. Archangels Sachiel (Ruler of Jupiter) and Zadkiel (angel of Gemini). Crystals are Lapis lazuli, Green Agate and Aquamarine. Essential oils are Frankincense, Chamomile and Lavender. Affirmation: “I am free to observe my mind from a place of utter peace where new opportunities soon become apparent to me.” 11th – 21st (Three of Fire) Abundance! Things looking very good, have patience at this time. Make long-term plans. 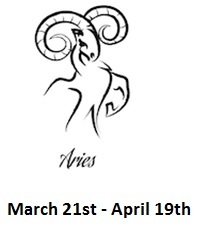 Sun in Aries. Archangel are Michael (Sun) and Camael (Mars/Aries). Essential oil is Cinnamon. Affirmation: “I get out of my own way and feel my connectedness to others in the process of giving birth to something new and unique.” 22nd – 30th (Queen of Water) Tender hearted, Empathetic, Patient, Loving. Relationships develop to a new level. Trust your intuition. Care for yourself and others. Cancer and Gemini. Archangel Gabriel (Cancer) and Raphael (Gemini) Crystals are Pearl, selenite and moonstone. Essential oil is Jasmine. If self care is a problem, call on Archangel Michael for help to remain strong and healthy. 1st – 10th (Seven of Earth) Seeds well planted. A temporary pause in action. Unnecessary worry. Saturn in Taurus. Patient nurturing growth through lessons to achieve goals. Affirmation: I give myself the gift of perseverance. Crystals are green aventurine and jet. The essential oil is Cypress. 11th – 21st (Nine of Water) Your wish comes true! Concerns fade away. A love of life. Jupiter in Pisces. Crystals are Turquoise and Mother of Pearl. Affirmation: “I am happy to be alive and content with what I have.” Essential oil is strawberries. 22nd – 30th (Queen of Fire) Traits: Confident, warm, intelligent, graceful. Stretch your wings and fly. Don’t underestimate yourself. Assert your independence and creativity. Ability to balance career and family. Aries (getting things done) and Pisces (caring). Essential oils are black pepper, Dragon’s blood and Frankincense. Spiritual Theme: Organization and logic. Structure and discipline. Leadership. Archangel Michael means “Who is Like God” and is associated with the Astrological sign Aries and the element of Fire. The crystals for this card are Fire agate, Hematite, Red Jasper, Garnet and Bloodstone. The essential oil is Black Pepper oil and Dragon’s Blood. Root and Solar Plexus Chakras. The affirmation for this card is about personal power and being organized. 1st – 10th (Five of Earth) Fears surrounding money Mercury in Venus. The wisdom to accept help from others. Uncertain self-employment. Affirmation: I am okay with asking for help. Crystals are green and yellow calcite, rose quartz. Essential oils are Myrrh, Orange and Patchouli. 11th – 21st (Knight of Earth) Loyal, dedicated, honorable, kind. Time to buckle down and get things done! Honor your commitments. A guardian angel. Element Air of Earth. Archangels Raphiel (Air) and Uriel (Water) Taurus and Aries. 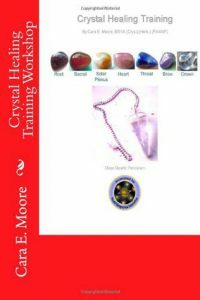 Crystals are Rhodonite and Rose Quartz. Essential Oils are Coriander and Eucalyptus. “I allow my efforts to shine through the work I do.” 22nd – 30th (Nine of Earth) Enjoying life’s little luxuries, spending quiet time alone. Successful self-employment. Affirmation: I am grateful to be able to bring beauty and abundance into the world.” Essential oil is cherry. 1st – 10th (Two of Fire) You have come into your own. New partnerships or contracts. Continue to move forward. Mars in Aries. Need for compromise and good natured debate in partnerships. Affirmation: “I let go of the need to control other people and situations, and rest in the peaceful knowledge that once I am aligned with Higher Will, all else that can be well will be well.” Crystals are Rose quartz, Coral and Bloodstone. Essential oils are Sandalwood, rosewood and rose. Archangel Camael (ruler of the Mars) and Ariel (angel of Aries). 11th – 21st (Nine of Water) Your wish comes true! Concerns fade away. A love of life. Jupiter in Pisces. Crystals are Turquoise and Mother of Pearl. Affirmation: “I am happy to be alive and content with what I have.” Essential oil is strawberries. 22nd – 30th (Queen of Fire) Traits: Confident, warm, intelligent, graceful. Stretch your wings and fly. Don’t underestimate yourself. Assert your independence and creativity. Ability to balance career and family. 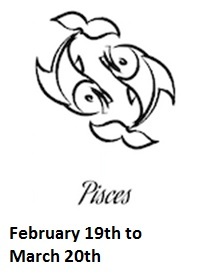 Aries (getting things done) and Pisces (caring). Essential oils are black pepper, Dragon’s blood and Frankincense. 1st – 10th (Ten of Air) The end of a difficult situation. Embrace the change and expect things to get better now. Recovering from an addiction. 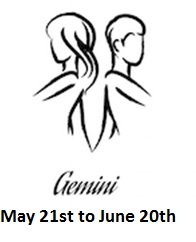 Sun in Gemini, Associated with the Archangel Michael and the crystal Citrine. Essential oil is Frankincense. Affirmation: “I release and forgive the past. I also release any worries of the future. I am in the now, relaxed, safely protected and loved by Angels. 11th – 21st (Five of Water) Things not turning out the way you hoped. Not seeing the positive in a situation. Crying over spilled milk. Mars in Scorpio. Archangels Camael (Mars) and Jeremiel (angel of Scorpio) Crystals are Smokey quartz, amethyst and red jasper. 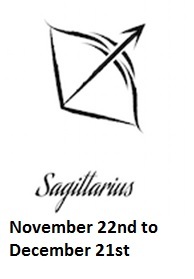 22nd – 30th (Page of Air) Logical, Honest, Impulsive, Curious. Challenging information. Delays or challenges to plans. Truth delivered without tact. Affirmation: “I ask all the right questions in a spirit of loving kindness.” Crystal is clear quartz. Essential oil is Oregano. 1st – 10th (Six of Air) Things are looking up. The end of a difficult situation. Taking a trip. Mercury in Aquarius. Archangels Uriel (Angel of Aquarius) and Raphael (Ruler of Mercury). Gemstone is Kyanite. Scents associated with this card are fresh snow and the North wind. Affirmation: “I clear my mind and open it up to perceive the bigger picture.” 11th – 21st (Ace of Earth) Inflow of abundance. A promising business venture. Important documents or contracts. Crystals are Red Jasper and Jet. Earth element. Archangel Uriel. Essential oil is Patchouli. 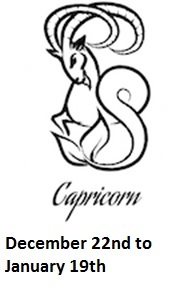 22nd – 30th (Nine of Air) Expecting the worst. Self-fullfilling prophecies. Sleepless nights. Mars in Gemini. Crystals are rose quartz, citrine and smoky quartz. Affirmation: I breathe out worry and breathe in peace. Essential oils are rose, lemon and sandalwood. 1st – 10th (Queen of Air) Traits: Independent, experienced, realistic, and witty. Objective decision making, clearing away all that no longer serves you. Seeing the humor in the situation. Crystals are green Calcite, Jade, Watermelon Tourmaline. Affirmation: “I manifest abundance with ease. Paying attention to detail, I lovingly share with those in my care.” Essential oils are Watermelon, Geranium and Bergamot. 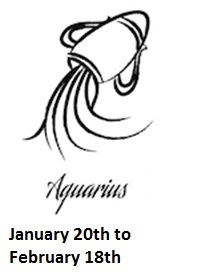 11th – 21st (Page of Water) Intuitive, sensitive, artistic, friendly. A new person enters your life. A relationship begins a new phase. Heightened psychic abilities. Angelic advice for this card is to allow yourself to dream. Archangels Uriel (Guardian of the Earth Element) and Gabriel (Guardian of the Water Element) Crystal is Mother of Pearl. Essential oil is Hyacinth. “I am the master of my imagination, whether awake or dreaming, and I use it for the highest good of All.” 22nd – 30th (Three of Water) A celebration. A wedding, graduation or birth announcement. The need to have more fun. 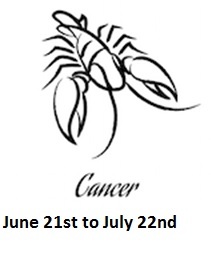 Mercury in Cancer. Crystals are pearl and mother of pearl. Affirmation: I am a good friend. Essential oils are Melissa, lemon and coffee. 1st – 10th (Queen of Earth) Thoughtful, creative, warm, sensible. Make time for those around you. Take a sensible approach. Deal with challenges in a kind and understanding manner. Angelic advice is to ask Archangel Cassiel to help you be as disciplined with setting time apart for self-care as well as caring for others. Affirmation: I care for myself first, so that I may care for others. Essential oil is Rose, Chamomile, baking bread and Frankincense. Crystals are snowflake obsidian, selenite and garnet. 11th – 21st (Five of Fire) Competing goals. Bothersome details. Conflict with others. Saturn in Leo. Archangels Cassiel (Saturn) and Raziel (angel of Leo) Crystals are Golden beryl, Hematite and Tiger’s eye Essential oils are Bergamot, Melissa and Sandalwood. Affirmation: I am a winner. 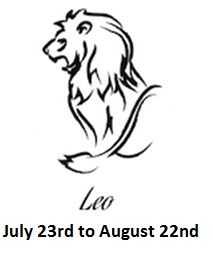 22nd – 30th (King of Earth) Generous, Professional, Responsible, Practical. A successful time. Confidently accept opportunities you are offered. The Midas Touch. 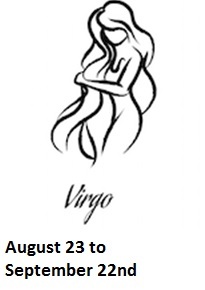 Virgo (Hardworking, Loves to Serve) and Leo (Likes the limelight, recognition for good works). Archangels Uriel (Ruler of the Element of Earth) and Metatron (angel of Virgo). Affirmation: “I manifest abundance with ease. Paying attention to detail, I lovingly share with those in my care.” Crystals are Fluorite, Green Aventurine and Lapis Lazuli. Essential oils are Patchouli, basil and cinnamon. 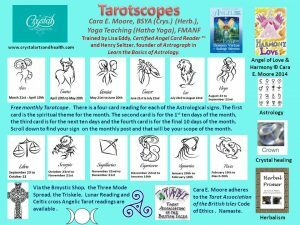 Thanks for reading the April Tarotscope. 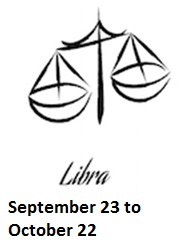 In addition to knowing your Sun Sign, knowing your Moon and Rising sign is useful for a more in-depth reading. This can be found out by knowing the time and place of your birth. 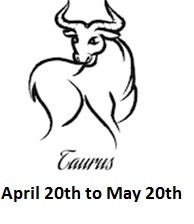 Sites like Astrodienst and Astrology.com offer free birth charts. 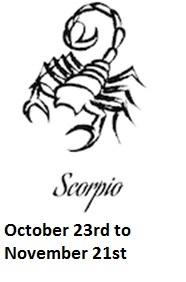 Once these are known read the corresponding Astrological sign reading. In April Jupiter, Mercury (until April 15th), Saturn and Pluto are Retrograde. This entry was posted in Tarotscope. Bookmark the permalink.